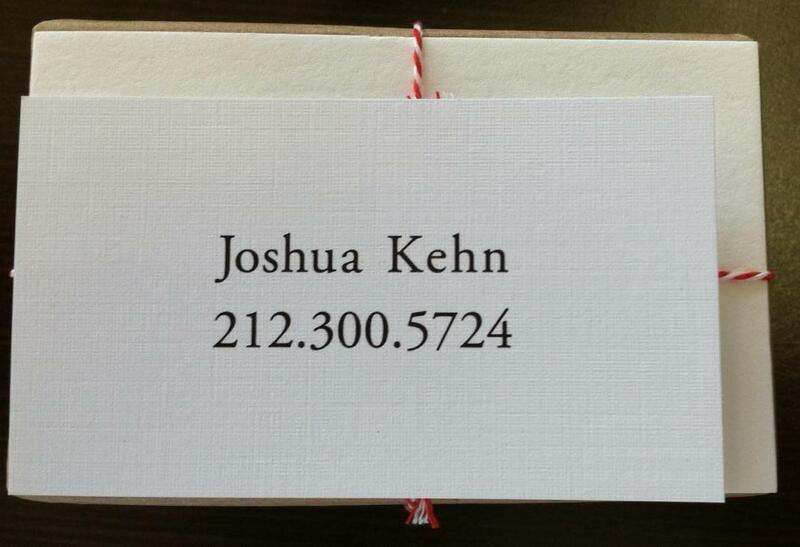 I got some business cards today that I ordered a while back from Elegant Press. 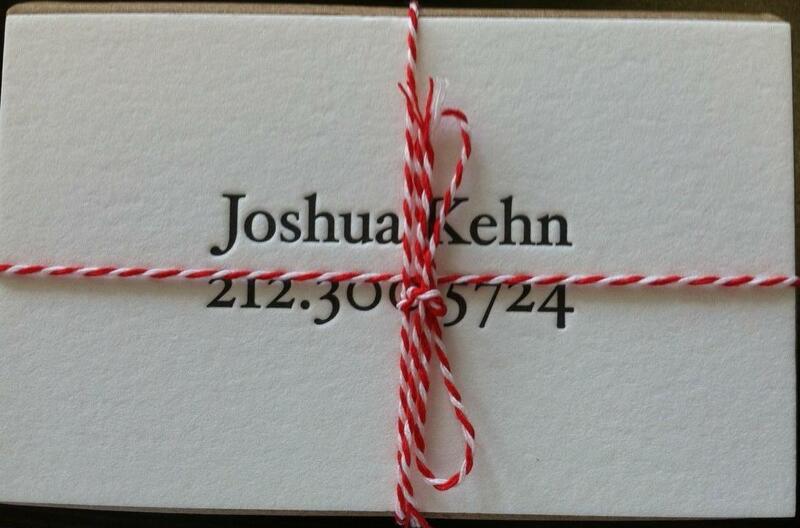 They are in Lithuania and specialize in letterpress printing. 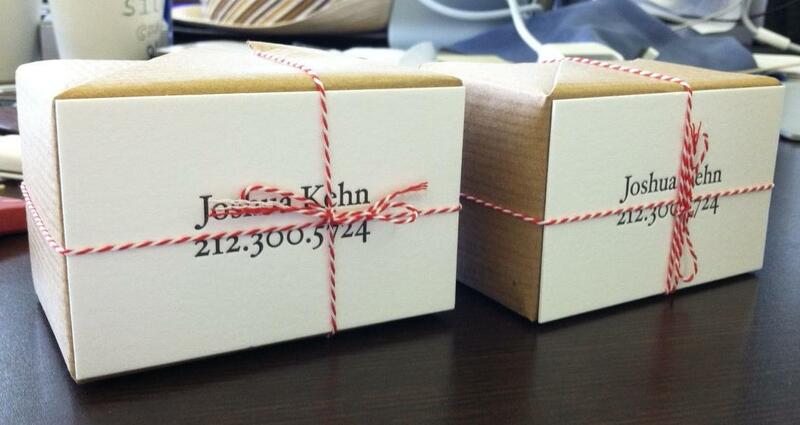 They came very neatly wrapped in blocks, tied with some string. 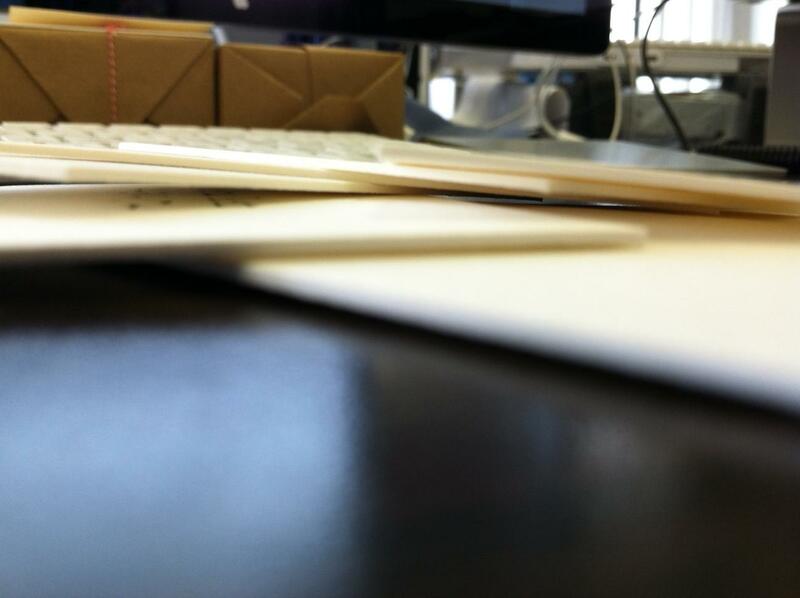 Here you can see some of the physical indentation left by the printing. The cards have an additional dimension and feel because of this. I had them print the cards much bigger then my old cards. 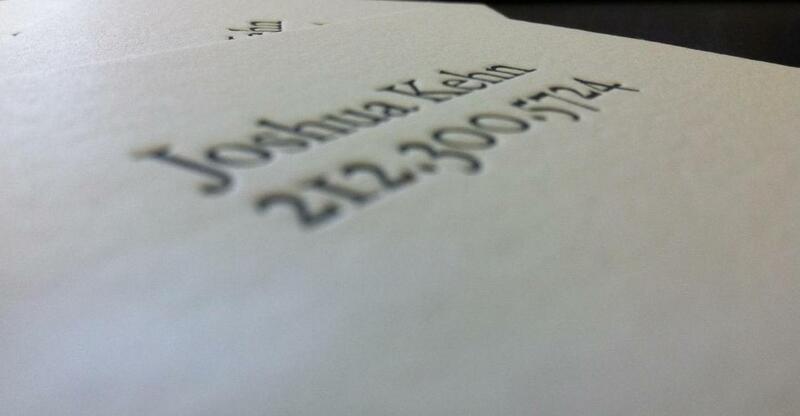 These cards were printed at 640 gsm, which is about 6x as thick as normal business cards. Substantial feel in the hand.